Government workers and agencies should give praise to this company for making their lives easier. Taking pride in its Ironclad Lockheed Martin USB flash drive, Lockheed Martin continues its mission in creating the most secure, portable and stylish flash drive. Its latest effort, IronClad 1.6, is an upgraded IronClad USB drive that promises to have more security features, flexibility and simplified management tools. IronClad is a secure “PC on a stick,” a flash drive equipped with the ability to store an operating system including applications and data on a trusted a self-contained flash drive housing USB software, built-in protection and hardware encryption. In other words, it shrinks your office computer into a 3-inch easy-to-use flash drive. Aside from being faster, what makes IronClad 1.6 an even more ideal government flash drive is that it so secure – sporting a tamper-proof feature, a 256-bit encryption and five layers of cyber security. Lockheed’s latest innovation is ideal for government agencies wanting to meet the requirements of the new Telework Enhancement Act of 2010. Not to mention, it also cuts down on expenses brought about by buying laptops and other peripherals for the employees to keep their work close to them. It also saves the effort of carrying around a heavy laptop going to and from work. It literally takes the weight off one’s shoulders! The new IronClad works well with various PCs and laptops while supporting more WiFi networks. It also makes the life of IT admins easier with simplified management tools that allow monitoring for the flash drives. When a drive is lost or stolen, ITs can shut down the drive with just a few clicks. No more excuses for not finishing work while in a remote area! During winter months, some workers may have difficulty attending to office work. But with this flash drive’s portability, employees can easily plug in their IronClad drives to their home PCs and load their entire work on their desktop. So government workers remain productive while at home while keeping vital data secured (from viruses, and hackers, too!) at all times. While Lockheed announced that the device is affordable, no price has been revealed yet. They might give away discounts for large organizations interested in IronClad; the global security provider is opening its doors for interested organizations to share more information about the new IronClad 1.6. 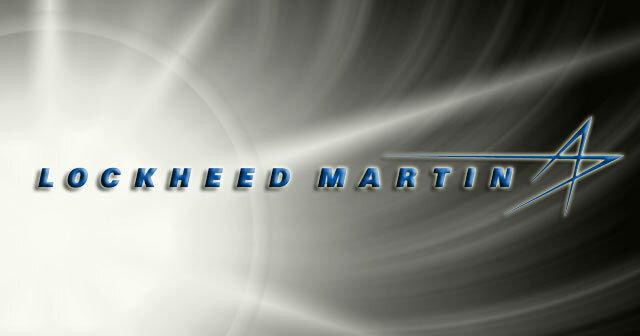 How could your work environment benefit from an IronClad 1.6 Lockheed Martin flash drive? This entry was posted in Articles, Flash Drive, IronClad, USB Flash Drives, USB software, USB Stick, USB Technology and tagged IronClad 1.6, IronClad 1.6 Lockheed Martin flash drive, Ironclad Lockheed Martin USB flash drive, IronClad USB drive, IronClad USB Flash Drive, IronClad USB Flash Drive Boosts Security, Lockheed Martin, Lockheed Martin flash drive. Bookmark the permalink.